Does this say “Hurricane” to you? Well, it’s 6pm and Hurricane Irene is starting to make herself known here in the NYC/NJ area. And we expect to be hardest hit between midnight and 2pm tomorrow . Now, just a bit of rain and slight wind. The biggest indicator of what’s to come is the eerie quiet on the streets and the stacks of sandbags piled up at all the ground floor / garden apartments. Iain and I are tucked away inside and I took it upon myself to cook and bake like we won’t be leaving for months! But, the best thing I’ve made so far, this variation on Pat O’briens’ in New Orleans Hurricanes. Appropriate, no? The typical Hurricane calls for Passion Fruit Syrup. But, I had a bunch of cherries on hand and thought I’d swap it with a homemade cherry syrup instead. It’s easier than you think. 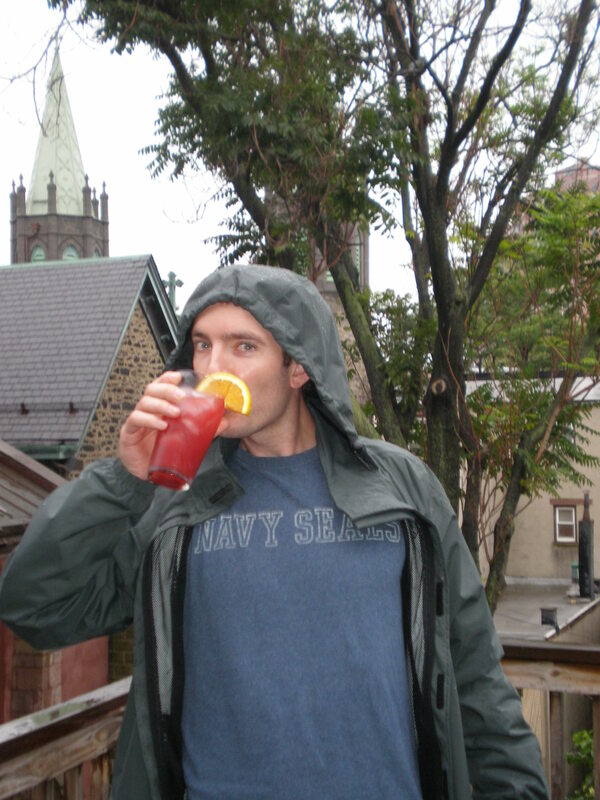 Even if a Hurricane isn’t pointed directly at you, I recommend this refreshing drink. Place all liquid in a cocktail shaker. Pour into a glass and batter down the hatches! 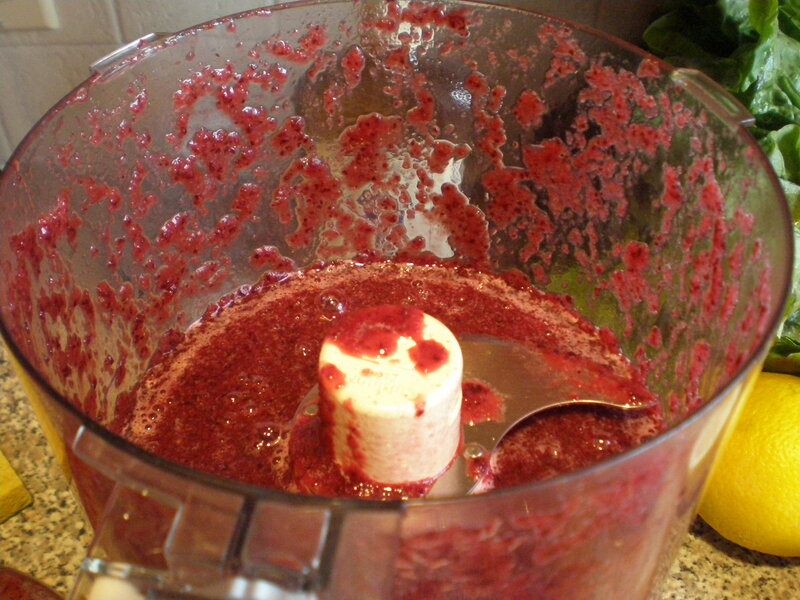 Place pitted cherries in a food processor and pulse until liquid and all skin is integrated. 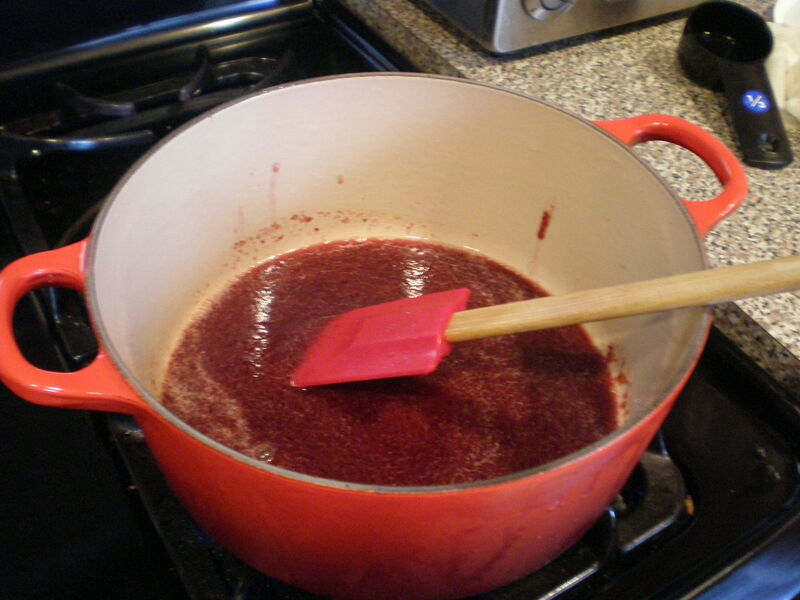 Pour liquid cherries into a heavy pot on the stove and add water and sugar. Reduce to “medium” and stir continuously for 10 minutes. Remove from heat and let come to room temperature. Use immediately or cover and store in fridge for up to a week. Voila! You have just made homemade cherry syrup. 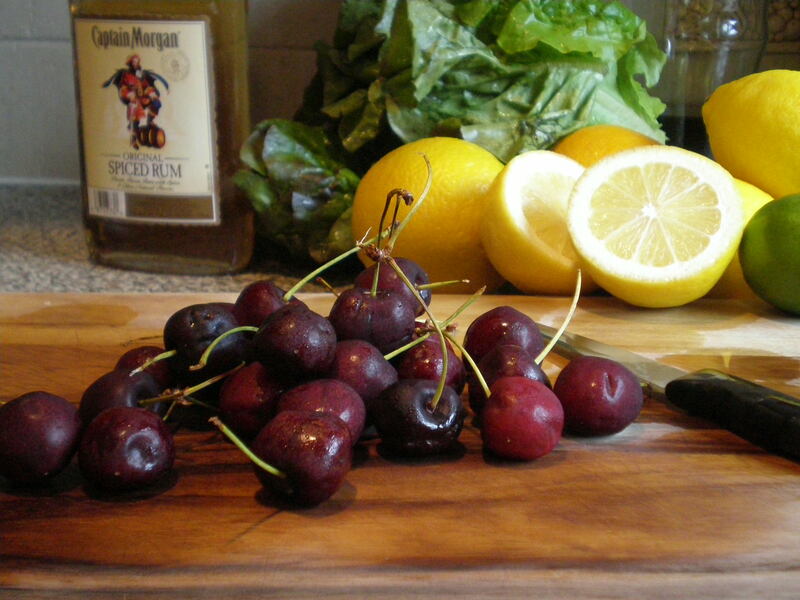 Perfect for Cherry Hurricanes or on top of pancakes. Which I’ll make if we have power in the morning…. 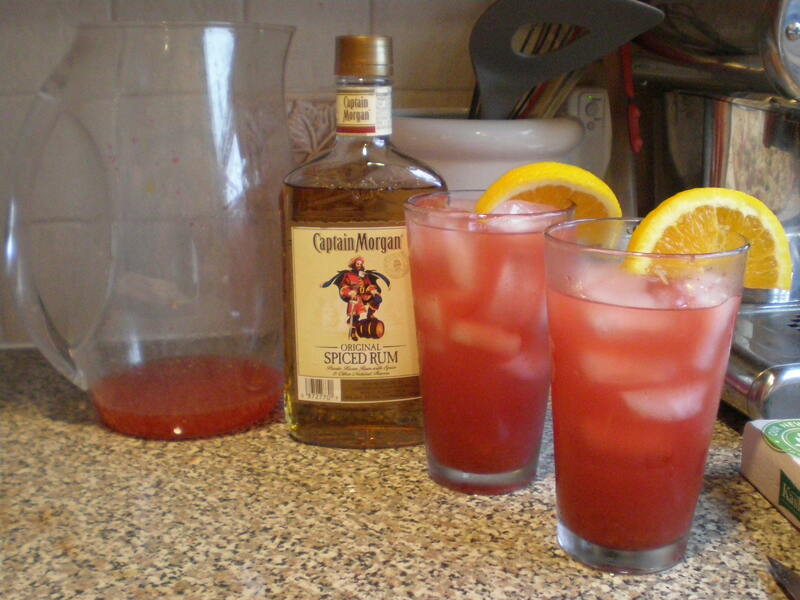 Posted on August 27, 2011 by nittygrits	• This entry was posted in Drinks, Recipes and tagged alcohol, cherry, hurricane, hurricanes, irene, pat o'brien, rum, vegan, vegetarian. Bookmark the permalink.